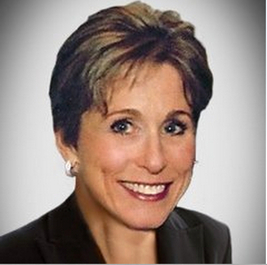 LISA VIVORI is Vice President, Strategy and Business Development, for Innovation Insurance Group, LLC. A twenty-nine year industry veteran, Ms. Vivori is a highly experienced marketing and insurance executive with financial service careers at The Federal Reserve, Chubb, Aegon (Transamerica) and AIG. Lisa’s D&O career includes underwriting, brokerage, product development and marketing, and she is Life and Health licensed. At AIG, Lisa initiated incorporating entity coverage into the D&O contract, resulting in the first Directors, Officers and Corporate Liability policy. Lisa is also an entrepreneur, Lisa runs her own marketing and financial services businesses and is President of The Vivori Group, an independent marketing and financial services agency. Lisa is a graduate of George Washington University and was a Woodruff Fellow at the Goizuetta School of Business at Emory University, where she obtained her MBA. Ms. Vivori is charged with the overall strategy for the organization, as well as being deeply involved in the firm’s day-to-day business development and growth.